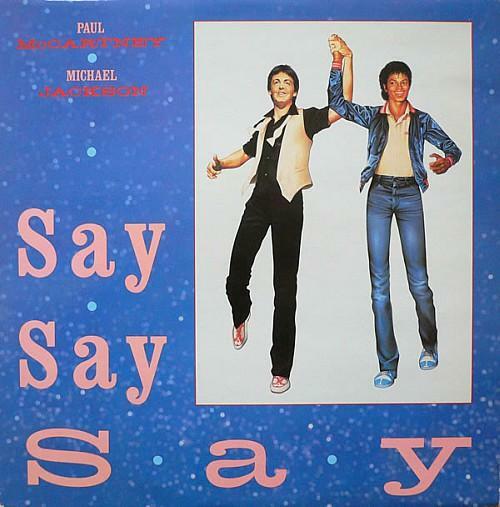 Despite receiving very mixed reviews from the critics, "Say Say Say" became the seventh top ten hit of 1983 for Michael Jackson. The infectious song was produced by George Martin, who was known as the "fifth Beatle" by Paul McCartney and also produced McCartney's duet with Stevie Wonder "Ebony and Ivory". It was a track that helped Jackson and the ex-Beatle to strengthen their friendship, and during its recording, Jackson stayed at Paul and Linda's house. Paul played many instruments on the song including guitar, bass guitar, synths and percussion. Jackson penned the lyrics. It was a track that helped Jackson and the ex-Beatle to strengthen their friendship, and during its recording, Jackson stayed at Paul and Linda's house. Paul played numerous instruments on the song including guitar, bass guitar, synths and percussion. Jackson penned the lyrics. This was the second time that the two legends got together to record a single, the first being "The Girl is Mine" which featured on Jackson's Thriller album. 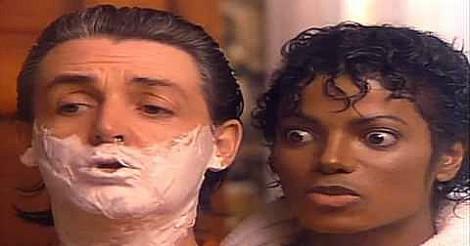 However, the duo's friendship fell apart in 1984 when Jackson outbid Paul for the rights to the Beatles back catalogue. The single entered the UK singles chart at #25 on Oct 9th 1983, climbing to #10 the following week. The single then fell to #13 on the 23rd Oct and then #14 on 30th October. However, a push by Paul McCartney to stop the single from falling further down the charts helped it climb to #3 on 6th Nov. McCartney did a live interview discussing the video on Breakfast TV, and the video was also played on popular music shows inc. Top Of The Pops and The Tube. There was also heavy rotation on MTV. On 13th November, the single reached its peak position of #2, where it remained for two weeks, being held of the top spot by Billy Joel's "Uptown Girl". The single reached No.1 on the Billboard Hot 100 in the U.S. for six weeks, and also reached No.1 in Norway and Sweden. The B-side of both the U.S. and UK singles features the track "Ode to a Koala Bear". Directed by Bob Giraldi, the video features appearances by Linda McCartney, La Toya Jackson and Giraldi himself as a pool shark. The actor Art McCartney also appears as a member of the audience at the Vaudeville show. It is a short story set in the 1890s, although the acting by McCartney leaves a lot to be desired! The tale starts with Linda and Paul trying to attract attention to their Mac and Jack wonder potion which Paul claims will "give you unbelievable power" and "the strength of a raging bull". Enticed by the offer, Jackson shouts out "I want one". After drinking the potion, Jackson does an impressive dance move and beats a muscle-bound man at arm wrestling. However, unknown to Jackson, the contest is rigged and the man is part of a scam to gain sales of the potion. However, Mac and Jack donate their earnings to Mrs Ensign's orphanage. In the next scene, Paul and Michael feature as Vaudeville entertainers, singing, dancing and performing magic in an array of different outfits. Michael also finds time to flirt with a girl who is played by his sister La Toya, which is slightly creepy! When the law turn up, Paul (dressed as a magician) creates a small fire on stage and Linda shouts out "fire!" which causes a panic and leads to the crowds fleeing the venue. They escape backstage and Paul and Michael somehow find time to put on tuxedos. The trio ride off into the sunset on the back of a truck. A new version of the song was released by Paul McCartney in 2015 which features previously unused vocals with Paul singing Michael's part and vice versa. The track featured on a special edition of the Pipes of Peace album also released in 2015.